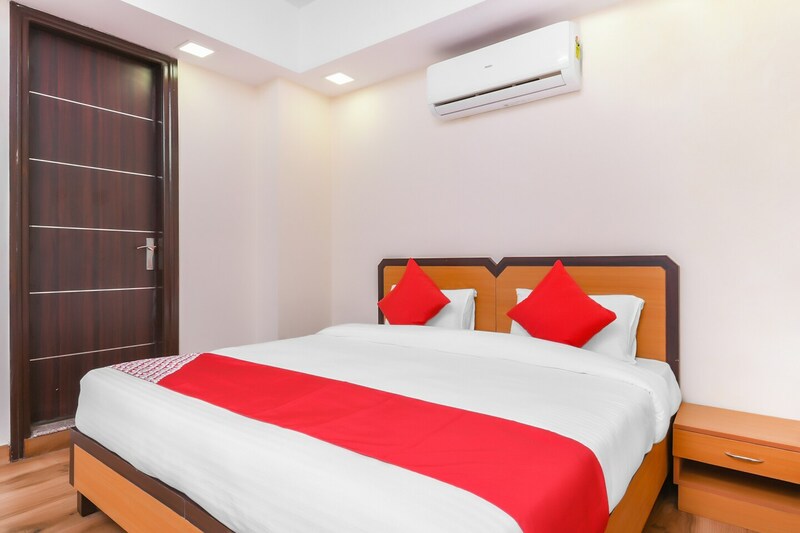 Hotel Greenhouse is a modern property with lively rooms located in Jasola Vihar in New Delhi. It is about 10 minutes away from the Shaheen Bagh railway station. The property has a classy lounge with comfortable seating. The rooms have bright white walls, trendy furniture, and the bathrooms are clean and stylishly tiled. Each room comes with a wardrobe to keep your essentials, air conditioning, television and cosy seating space. You can visit the Atlantic Water World and Okhla Bird Sanctuary from here in an easy car ride. A few restaurants in the vicinity include Al-Aziz, Delhi Bely and Al-Bake Chinese restaurant.